I love colors. Especially on leaves. So here’s my educational way to bring color into math! Color the leaves based on the characteristics of the number on the leaf (multiple of ten, evens, odds). 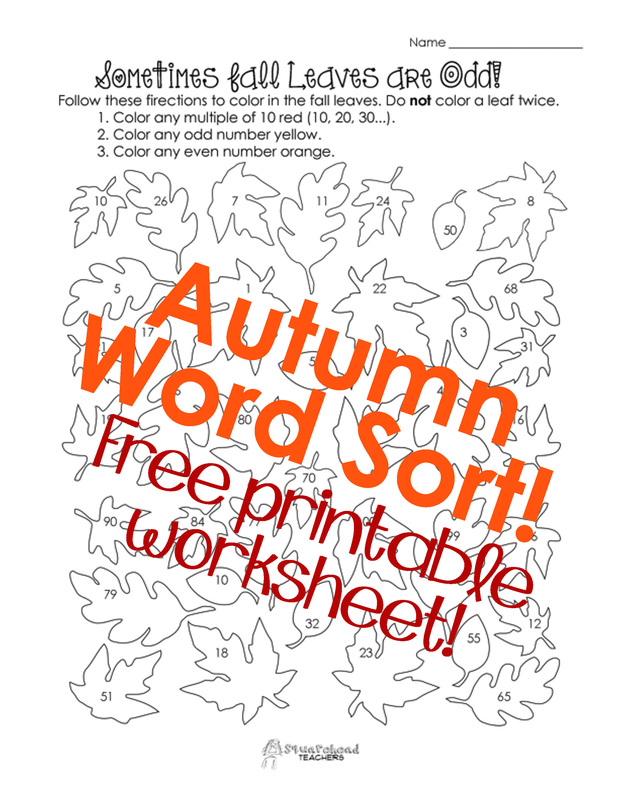 Good activity for building number sense and celebrating fall! Enjoy! This entry was posted in Halloween, Holidays/Seasons, Math, Thanksgiving/Fall and tagged autumn, Children, Education, Elementary School, evens, fall, Homeschool, Kids, Math, numbers, October, odds, Teacher Resources, Teachers, Teaching, Thanksgiving/Fall by Squarehead Teachers. Bookmark the permalink.